Drone technology is more than cool… It has a lot of different agricultural uses, or potential uses. 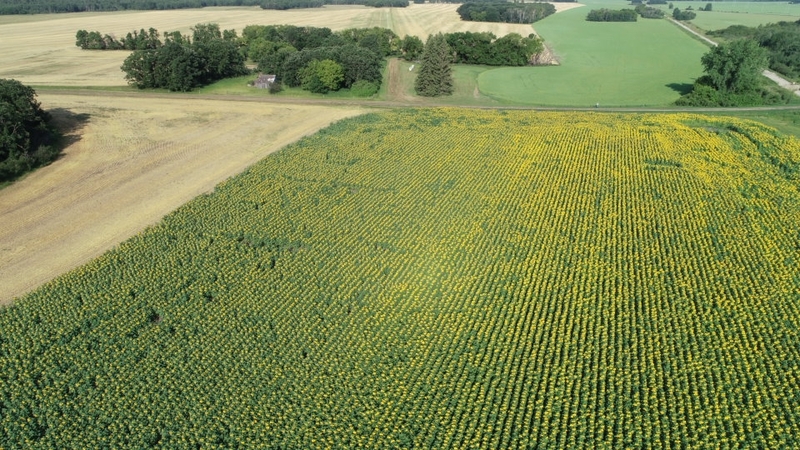 Flying the drone has become a hobby that connects my farm family in a new, cool and engaging way. My parents have always been early adopters of technology - from being the first family in our area with a bag cell phone to now doing variable rate granular fertilizer applications, they have been eager to try new things. I chose a university with a technology focus and then as a teacher, my instruction was technology rich. My parents really inspired and encouraged me to invest in a drone and start flying. My Dad gave me the technical know-how to get up in the air and after that the inspiration to continue comes from what I get to see! When I fly, I can literally see for miles and look around at the fruits of our labour. I can watch a crop grow and develop in a whole new way, which brings a whole new perspective to the amazing power, and beauty, of Nature. And all of a sudden, a little drone flight creates a LOT of positive energy and ag-inspiration, for me and for a lot of other people too! So maybe, in this case, flying actually helps me to showcase how I am #RootedInAg and #FlyingHigh at the same time. Pretty cool!